Seven northern stars are displayed on the back of this legendary animal that is believed to visit lucky people every Full Moon and bring news of wealth. Watch this Chinese legend come true for you when you add your Money Frog to your home. He brings you wealth, including a coin in his mouth and a string of coins across his back. 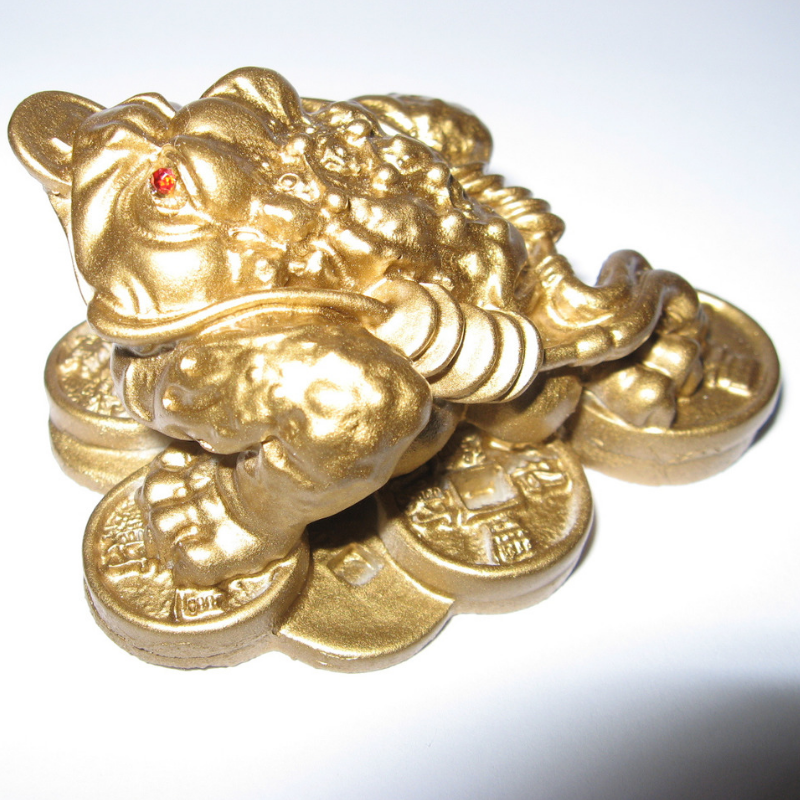 Majestically sitting on a bed of Chinese Coins, this three legged Money Frog represents prosperity and abundance. 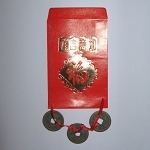 Three legged frogs or Chan Chu are a traditional Feng Shui symbol of good luck and wealth. 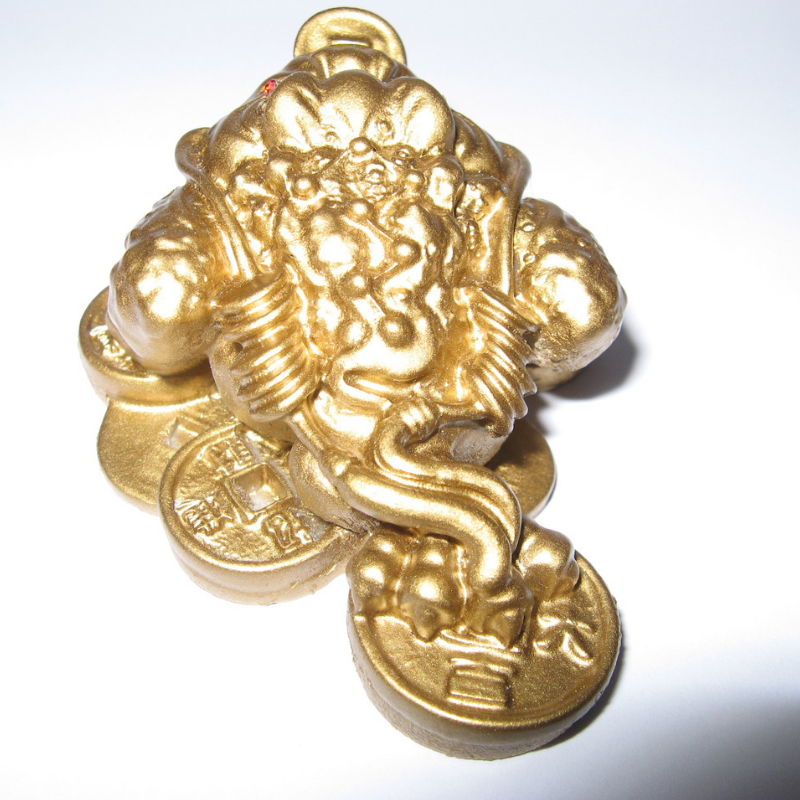 When sitting on Chinese Coins the Money Frog on Chinese Coins is bringing increased wealth for you. 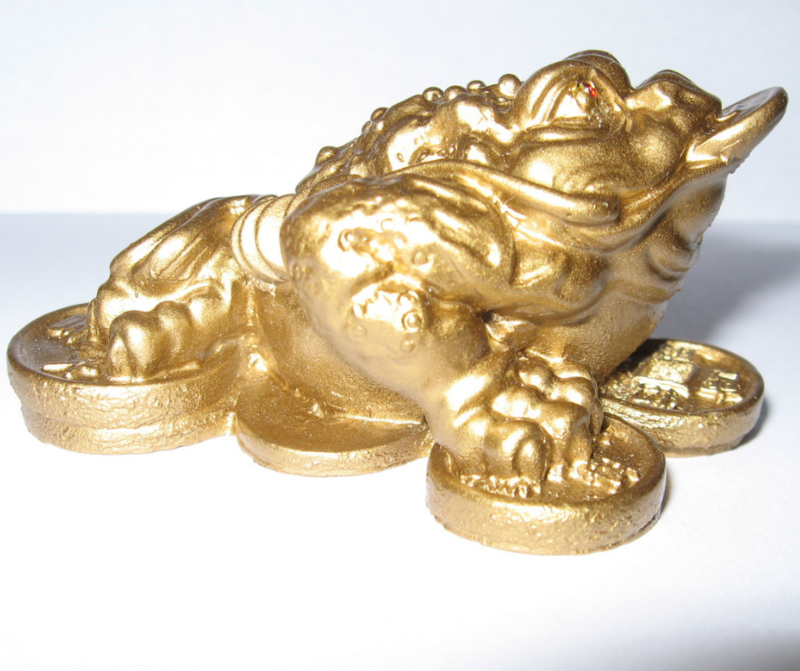 This beautiful gold resin Money Frog is 1 1/2 inches high and 2 3/4 inches wide with shimmering bright red glass eyes. 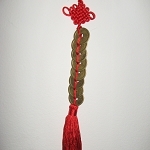 The Money Frog can be used in the wealth area of your home or office.